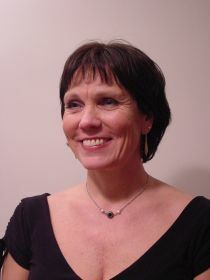 Brit Oppedal is a senior researcher in the Division of Mental Health of the Norwegian Institute of Public Health. She is the PI of the Division’s research program “Youth, Culture and Competence”, YCC, and of the various national and international subprojects under this umbrella, such as e.g. “Social support, coping and mental health among unaccompanied minor asylum-seekers”; “Identity, adaptation and well-being among Tamil children and youth”; “Classroom psychosocial environment and well-being in multi-cultural schools” and “Social Integration of Migrant Children: Uncovering Family and School Factors Promoting Resilience” (www.fhi.no/studier/UngKul ). Her research focus is on the importance of ethnicity and migration in the psychological adjustment of immigrant and refugee children and their families. She is also engaged in policies and programs on the intersection between learning and mental health, and on the health behavior and health service use of immigrants. Brit holds a PhD in psychology from the University of Oslo. She has been a visiting scholar in the Department of Child Development of Tufts University, Boston, and attended a Post Doc program in clinical research and training at Judge Baker Children’s Center, an affiliate of Harvard Medical School. Brit Oppedal joined CReAM as an External Research Fellow in April 2014.